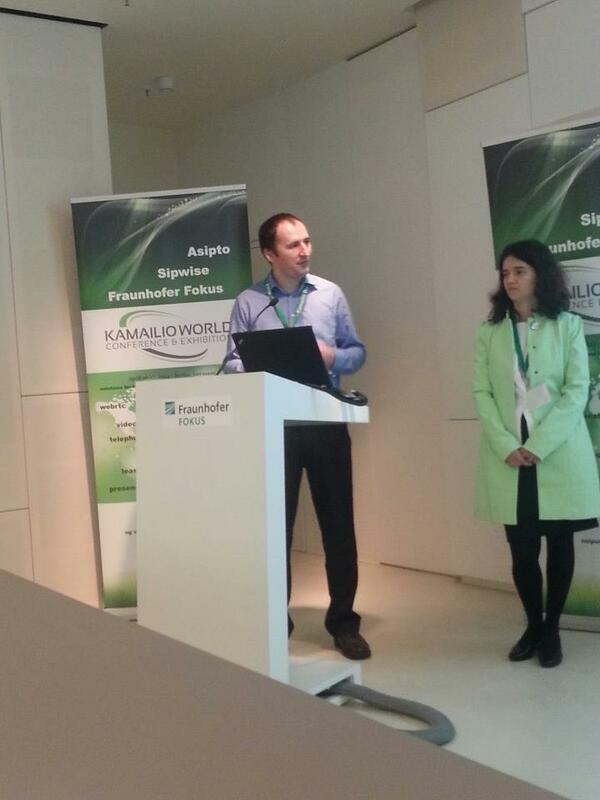 Asipto is very glad that Kamailio World Conference made its debut with a great success. As main organizers, this event was quite a huge task for us. We coordinated other events in the past, such as 10 Years SER or other Kamailio conferences, but none was at this scale yet. More than one hundred people from North and South America, Africa, Asia and Europa came in Berlin for this first edition of Kamailio World, where over twenty speakers filled the agenda for the two days. The biggest achievement of this event was to show to the world that Kamailio is solid project, with consolidated development and business communities. Next picture shows Daniel-Constantin Mierla and Elena-Ramona Modroiu, co-founders of Kamailio projects and members of Asipto team, opening the event. The sessions were recorded, videos should become available on the web in the near future. We would like to thank to all participants to the first edition of Kamailio World Conference, with special thanks to the sponsors that made possible to bring together an excellent group of professionals in real time communications. If anyone wants to provide any kind of feedback, please contact us. We are looking forward to meeting many of you at next edition of Kamailio World. 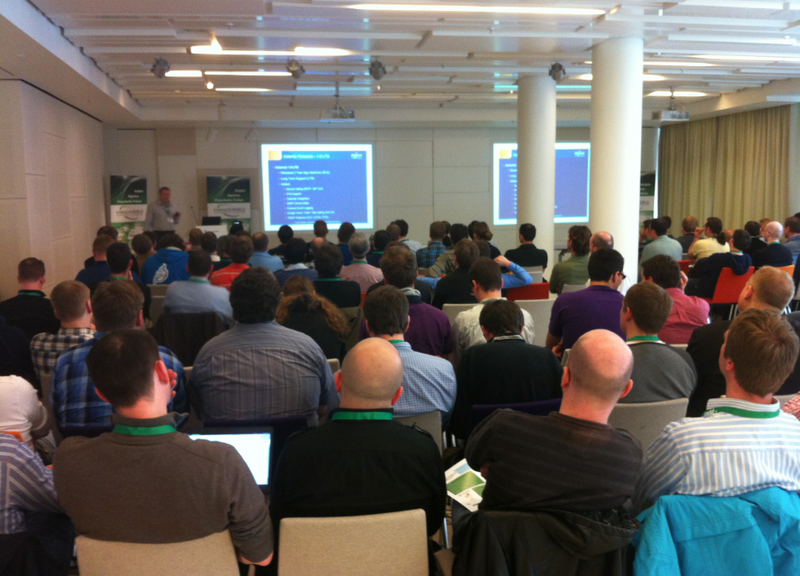 At the end, a panoramic picture of conference room during a presentation.